Ford FG G6E 13 passenger Super Stretch (12 passengers in the rear compartment), 3 doors to access the main passenger compartment. 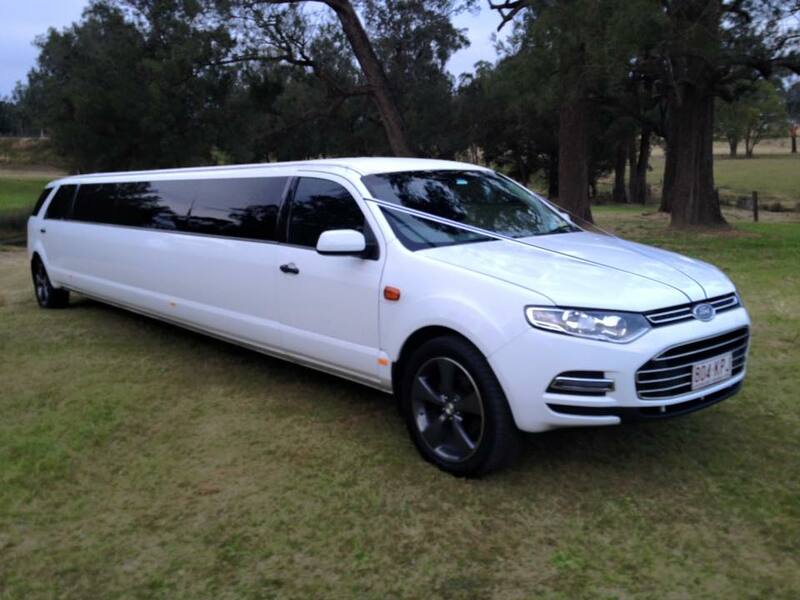 Extreme Super Stretch, 3 Doors to rear Compartment, Black Leather Interior, full lighting and sound system, DVD and CD. Gympie, Noosa, Ipswich and surrounding areas. Have you done absolutely everything? Contact us to see how we can cater for your wedding, event or next formal occasion.